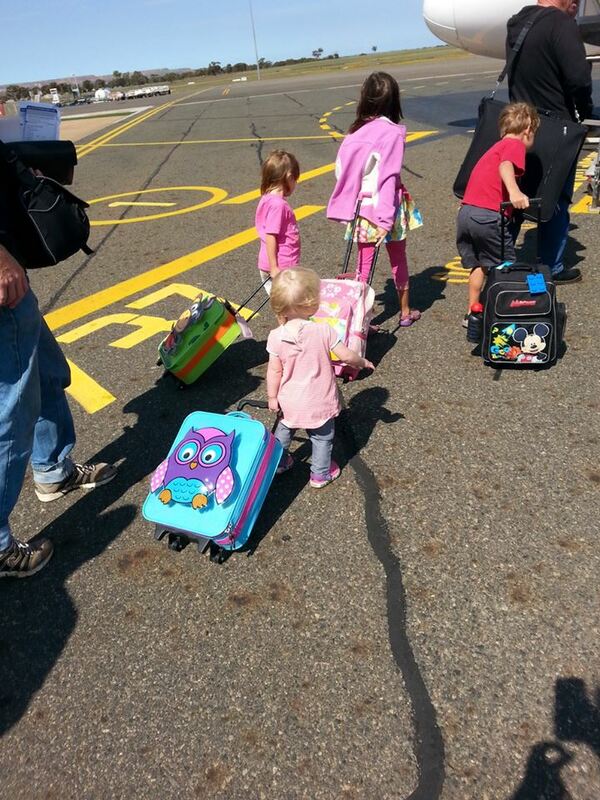 Congratulations – you’ve made the bold decision to go flying with your young children. As a family, we have completed more than 130 flights with our children under the age of 5 years old. Flights have ranged from as short as 45 minutes to as long as 14 1/2 hours. Our journeys have included 5 day treks from East Africa to NZ – buses, airports, planes, trains, hotels and taxis! Was it tough – at times – totally exhausting! Our 4 children now have an experience and perspective of the world few could ever have at their age. They have lived in the developing world (East Africa), travelled many times through Dubai, experienced the UK and Europe, been on many trips to Australia, including a number of the provincial centres and stopped in on Hong Kong, Thailand and Singapore to name just a few Asian places. This website has been set-up to empower you as you travel. Whether, you are travelling with your new-born (all ours had their first flights between 3 weeks and 12 weeks old) or your active toddler – you will find the information you need. This website is dedicated to bringing you the very best practical advise, tips and resources to enable you to successfully complete the above 4 steps. Take some time to check-out the articles under the preparation menu – they can save a lot of heartache by planning right front he start. Read about what to do while travelling – so you are prepared for almost any scenario. Download our checklists – tailor them for your use. There is also a Best Of Section – top tips, top places, top stories. Ask questions, seek feedback and share your stories. This site is all about providing you free resources to make your trip as enjoyable as possible. Learn from our experience and make your experiences even better! Enjoy and thanks for taking the time to visit. Please feel free to leave feedback or ask questions in the comments area below.